On May 10th 2018, the British government “condemned” recent Iranian rocket attacks against Israeli positions in the Golan Heights, adding that Israel “has the right to defend itself”. It did not condemn recent Israeli attacks on Iranian positions which apparently killed Iranian personnel, but choose to issue the condemnation once Iran retaliated. Britain has not been an impartial, at-a-distance observer of the conflagration in Syria. Indeed if the recollections of Roland Dumas are anything to go by, it was at the heart of an international conspiracy of nations aimed at overthrowing the government of Bashar al-Assad. And given Britain’s recent participation in the military action taken in concert with the United States and France over a highly disputed allegation of Syrian government responsibility for a chemical attack on the Syrian city of Douma, questions abound as to what interests Britain has in relation to Syria. The following are ten questions which any informed and conscientious British Member of Parliament should take the opportunity to ask either the Prime Minister or Foreign Secretary in a formal letter or during relevant Parliamentary proceedings such as ministerial question time. 1. Why has the British government been silent about many attacks carried out by Israel over the course of the Syrian conflict against both Syrian and Iranian positions? 2. Are Iranian rocket attacks against Israel not justified under international law on the basis of self-defence? After all, Israel has fired at Iranian positions and killed Iranian soldiers. Iran did not fire first. 3. Is it not a contravention of international law to attack a sovereign state (Syria) and another nation (Iran) invited by the legal government to help defend it against externally supported insurgents? 4. If Iran is firing at the Golan Heights, would the British government want to clarify that the Iranian military is in fact firing at territory that has been illegally occupied and annexed by Israel? 5. Would the British government like to comment on former French Foreign Minister Roland Dumas’s statement made in 2013 that while on a private visit to England, British officials approached him to join in a plan to organise an armed insurrection against the Syrian government? In his words, the war we have witnessed these past seven years by the Syrian government against Islamic fanatics was “prepared, conceived and organised” at least two years in advance of what became an insurgency. Would the British government care to clarify the capacities of the “officials” who sought Monsieur Dumas’s help in this illegal conspiracy? Were they politicians, intelligence agents, military officers or all of the mentioned categories? 6. Would the British government take the opportunity to explain why, as reported by the British Guardian newspaper in March 2013, British military officers were stationed at the border shared between Syria and Jordan while tasked with offering “logistical and other advice in some form” to rebels and prospective insurgents? 7. Would the British government consider explaining why it allowed the collapse of the 2015 Old Bailey trial of Bherlin Gildo, a Swedish national who had been charged with terrorist activities in Syria? Would the government elucidate on the reasons why Britain’s security and intelligence services would have been “deeply embarrassed” about their covert support for anti-Assad militias? 8. Would the British government explain why British soldiers such as the late Sergeant Matt Tonroe of the Parachute Regiment have been embedded with United States Special Forces in Syria without the express invitation of the legal government of that sovereign nation? 9. Why is the Theresa May-led government keen to continue funding the al-Nusra-linked ‘White Helmets’ group of “volunteer rescuers” which only operates in rebel-held areas? Can the government clarify the extent to which British intelligence is associated with the group’s founder, former British soldier James Le Mesurier and whether British intelligence may have connections with the organisation? 10. 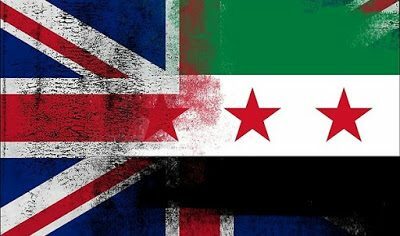 Finally, would the British government like to take the opportunity to offer a detailed clarification of just what national interest issues compel British involvement in Syria? Adeyinka Makinde is a London-based writer and law lecturer with an interest in global security issues. He can be followed on Twitter @AdeyinkaMakinde.